Hello and welcome to The WDW Radio Show – Your Walt Disney World Information Station. I am your host, Lou Mongello, and this is show #289 for the week of August 26, 2012. This week, I’m excited to share an interview with one of Disney’s legendary Imagineers, Tony Baxter. Currently the Senior Vice President of Creative Development for Walt Disney Imagineering. We had a chance to meet and chat recently, as we talk about his career at Disney, his mentors and inspirations, attractions he helped create such as Big Thunder Mountain Railroad, 20,000 Leagues Under the Sea, Splash Mountain and many others. Tony shares wonderful stories about his personal experiences going from Disney fan to Disney Imagineer. We also discuss the current state of the Disney Parks and what the future may hold. 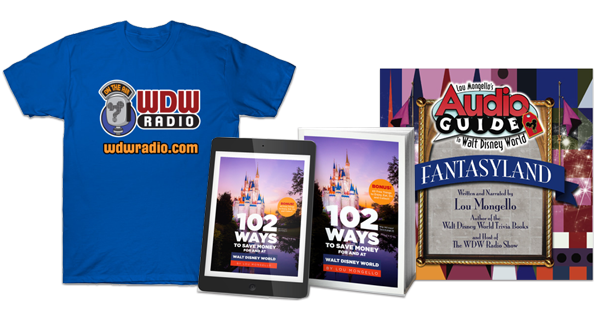 Answer the Walt Disney World Trivia Question of the Week for your chance to win a Disney prize package and be sure to stay for other announcements, so sit back, relax, and enjoy this week’s episode of the WDW Radio Show. Check out the Disney Food Blog e-book: The DFB Mini-Guide to the 2012 Epcot International Food & Wine Festival – Use code WDWRADIO to save $3.00! I would ask Mr. Baxter to re-imagineer Pirates of the Caribbean to give Florida the same longer-length ride that Disneyland has. (I’ve never been to Disneyland but only seen you-tube videos of that ride). I would ask Mr. Baxter to re-imagineer the Backlot Studio Tour. This is probably stretching the definition of one attraction but “All of Future World at Epcot”. I’d ask him to bring the Dreamfinder/Figment team back into a new-new rework of Journey into Imagination. Figment >> Journey into Imagination! Ever!!!! Great interview… I’m always so star-struck with Imagineers! Great Interview. You were lucky to get a great honor! Peter Pan in Fantasyland could be so much more and also more efficient. What Disney World needs more of throughout all of the parks are more B and C ticket dark rides. Bring Figment back to his former glory in a new Journey into Imagination with the Dreamfinder. I would ask Tony to re’Imagineer Fronteirland at Walt Disney World and introduce his Discovery Bay and possibly Marc Davis’s Western River Ride to complement Big Thunder Mountain. I know it’s a newer attraction, but I would enjoy seeing Tony re-Imagineer the Little Mermaid attraction in Fantasyland to make it a more immersive/unique experience, rather than, what feels to me, like a straight forward interpretation of the movie. IMO, it should have it’s own unique story that branches off of the movie, but does not replicate it. This would give the riders a one-of-a-kind experience that could only be offered through the attraction. 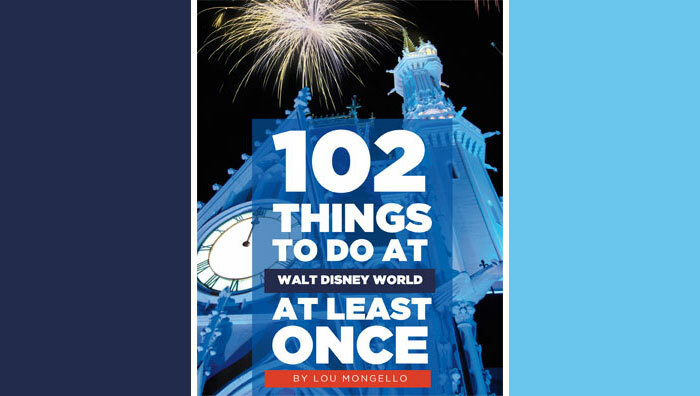 Making your visit to the Magic Kingdom even more magical. I feel that’s why Pirates and the Mansion have always been so popular. They offer experiences you can only get by riding the attraction, and not by watching a movie. They’re unique to the park. They’re storylines refer to nothing a person has experienced before. It’s all imagined. The characters, the settings and so on, all unique. Barring the latest additions to Pirates of course. I have always admired these attractions, and others like them at the Disney parks as well, for this very reason. To me, it’s what makes the Disney parks special. Unlike any other. I truly hope Disney never forgets this. One additional request I would ask of Tony would be to take the old Wonders of Life Pavilion and come up with a creative solution for this space, which, IMO, is sorely missed by fans of Epcot. Fantastic interview, Lou. Thanks again for another fabulous show!! !